Lens design for pro and amateur designers. Developer website: Ripplon Software Inc.
Is there a better alternative to LensForge? Is LensForge really the best app in Miscellaneous category? Will LensForge work good on macOS 10.13.4? 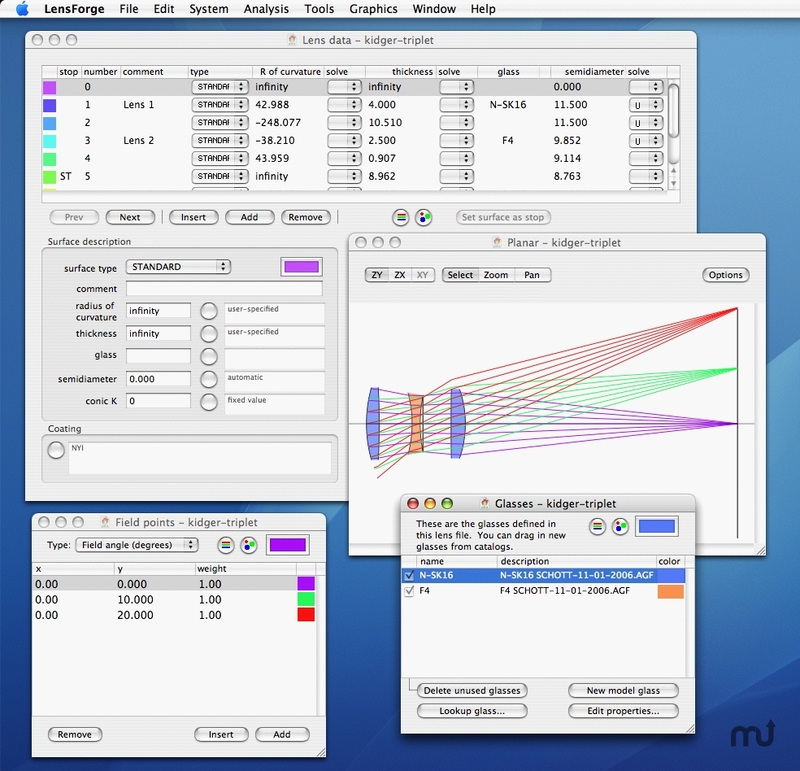 LensForge is a lens design program for anyone who designs lens systems, from professional and amateur lens designers to experimental physicists and telescope makers. Please see the introductory tutorials that explain how to download and use LensForge. Bug fixes: Surface colors would not update on layout views. Improvements: Improved 64-bit compatibility for OpenGL picking. LensForge needs a review. Be the first to review this app and get the discussion started! LensForge needs a rating. Be the first to rate this app and get the discussion started!